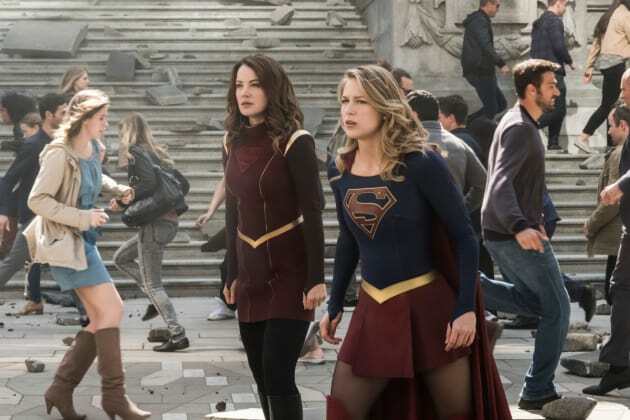 Kara and Alura do their best to help as the earth crumbles around them. "Battles Lost and Won" is the 23rd episode of the show's third season. 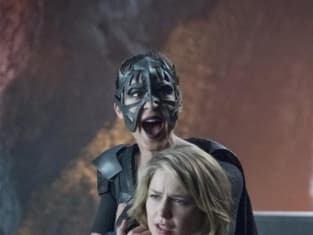 Supergirl Season 3 Episode 23: "Battles Lost and Won"
Kara: You're all clear kid. Now let's blow this thing and go home. Brainy: I assume that's some sort of film reference. Kara: We never showed you Star Wars? Not a single Star War? Permalink: We never showed you Star Wars? Not a single Star War? M'yrnn: You are. You looked into the flames and you had no fear. J'onn: That's because you were with me. M'yrnn: That will never change, J'onn. Never. Permalink: That will never change, J'onn. Never.